With as often as I go to flea markets and thrift stores, I see a lot of crazy items. Some of these items aren’t even related to video games, but sometimes I see things that are video game related that are just as crazy, such as the onslaught of systems known as Famiclones. 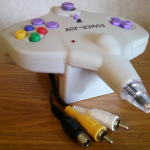 These systems are made in China, boast an insane number of games or features it can’t truly offer and are built within slightly modified and brightly colored gaming systems we already know and love. I personally own 2 handheld Famiclones, I believe only one of them slightly works as I can’t test the other because I tried to power it up with an NES power supply and think I fried it. 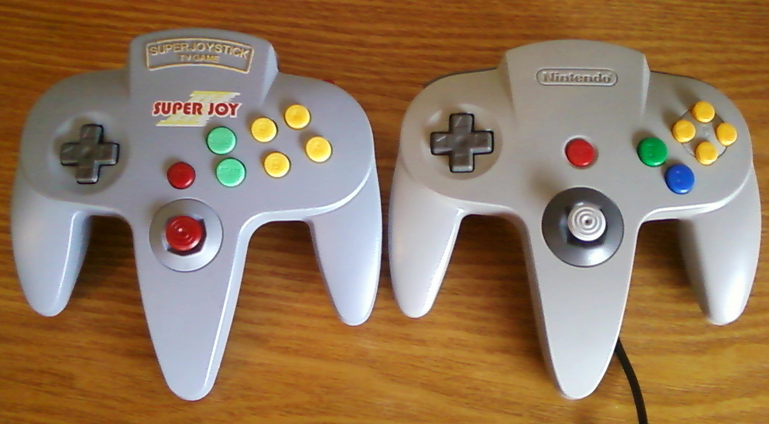 My Super Joy 3 next to an N64 controller. 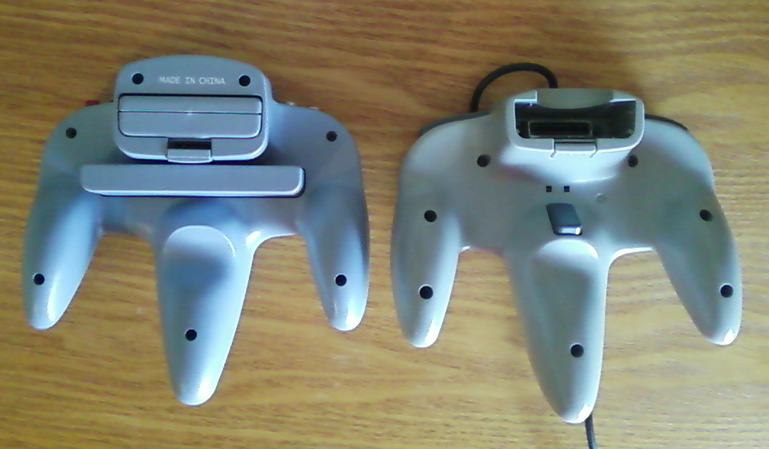 Top (left) and bottom (right) comparison. 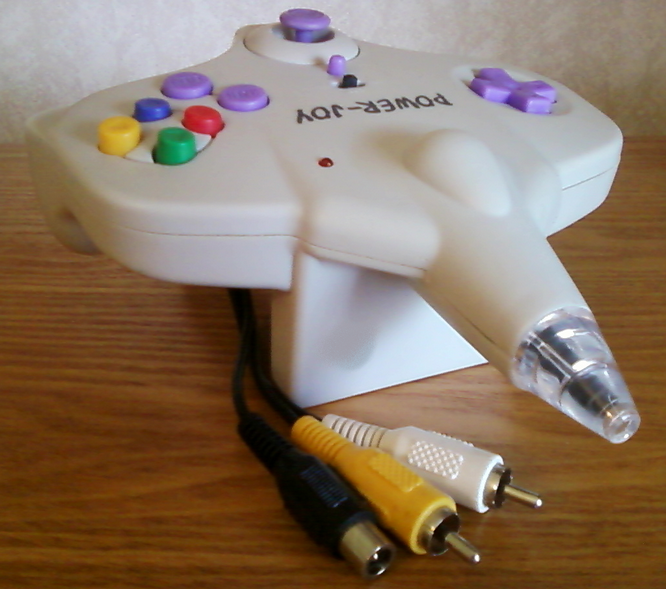 Since Nintendo let the patents to the Famicom and the NES go, you would assume these systems would be sold anywhere other Chinese goods are sold, but you’d be wrong. See, it isn’t the hardware that these companies create (or ripped-off, depending on your point of view) but the illegally pirated software within the units that comes under fire and keeps them off most store shelves. 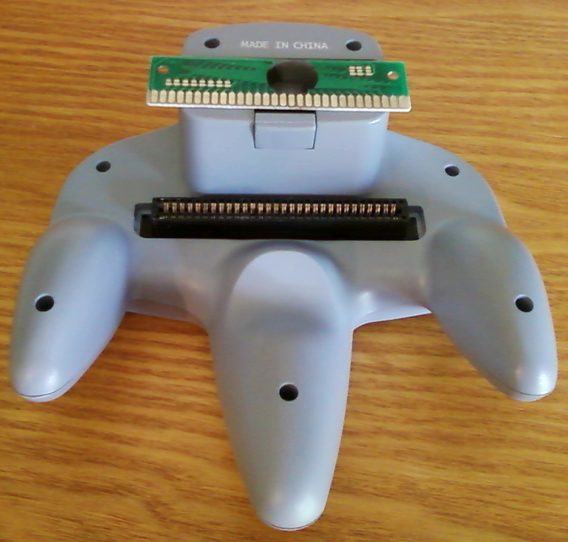 Essentially the system is a Nintendo on a chip, or NoaC, which emulates (to an extent) the same features the Famicom and NES did, while packing in game ROMs to make it a complete system with games. Some will boast anywhere from 76 to 99 million built-in games, which isn’t true. 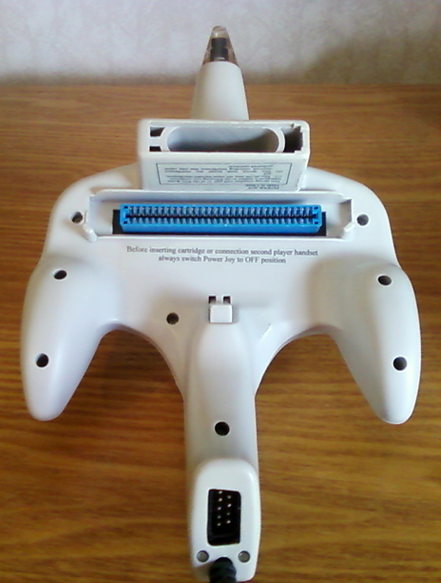 Although you may see that many choices, most of the games are split up into certain levels of the same game featured over and over within the system. 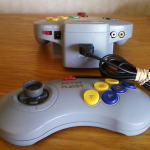 For example my Super Joy 3 offers 12000 games incuding: Super Mario Bros., Tennis, Baseball (utterly broken), Arkanoid, 1942, Pacman, Donkey Kong 3, Dig Dug, Clu Clu Land, Super C and a few other titles, from the maybe 30-40 original titles within the system, the rest of the choices are areas 1-1, 2-1, 3-1, etc. 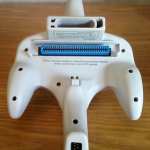 of Super Mario Bros., or different levels of Super C. Also, as you may suspect, these units are Chinese made so they aren’t built to stand the test of time, my Super Joy 3 has a terrible buzz and there are lines on the screen, but once you’re captured in a game it really tends to fade away to an extent. 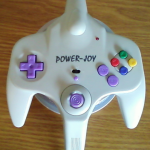 I do have to admit that I have had quite a bit of fun with my Super Joy 3, its fun to have that many games in your hands and it feels closer to the real thing than PC emulators. So if the systems emulate the NES instead of the Famicom, why are they called Famiclones? 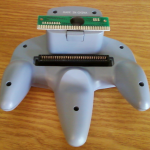 Well, that is because most of them have a 60 pin connector attached to them, which is standard for the Famicom as the NES systems all used 72 pins. I’ve seen evidence that you may also be able to play official Famicom cartridges on these units, some other Famiclones are geared specifically for doing just that, but since I only own the handheld units and don’t own any Famicom games, I can’t claim this to be true. 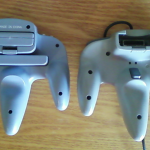 My Super Joy 3 (left) and Power Joy (right) 60 pin connectors. 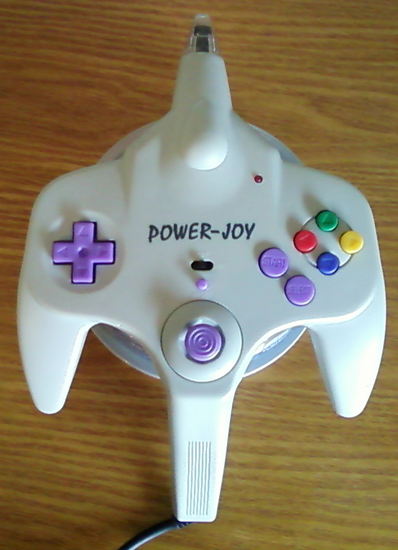 The systems range from Playstation shaped all the way to the odd shape of my Power Joy, which is like an N64 controller mixed with a jet fighter toy to allow for the light gun built into the unit. 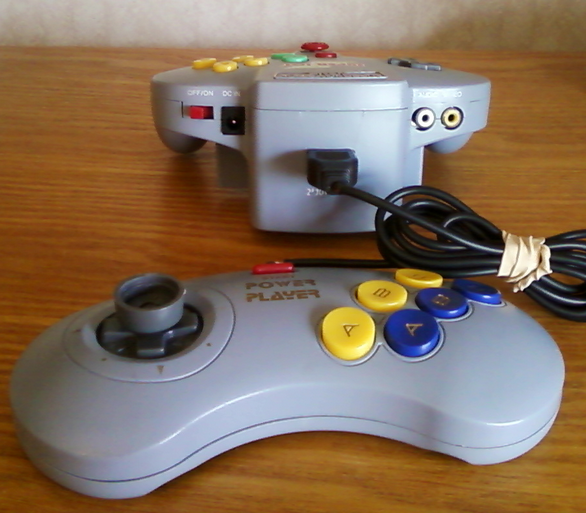 These systems almost always use a 9 pin input, much like the Atari 2600 or Sega Genesis, for a second controller or light gun. 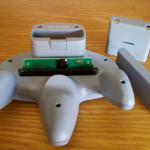 The handheld units can be run off batteries or DC adapters, they also have the standard power on/off switch, a reset button, D-pad, A and B with matching turbo buttons above them as well as start and select buttons. 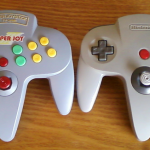 If you’re use to the N64 controller, at times you may want to pause the game and instead hit the reset button, but if you know what you’re looking for you can always scroll through the games and find the level you were on listed somewhere along the way. All it took was buying the Power Joy for $1 that set off my obsession with wanting to understand the Famiclones. 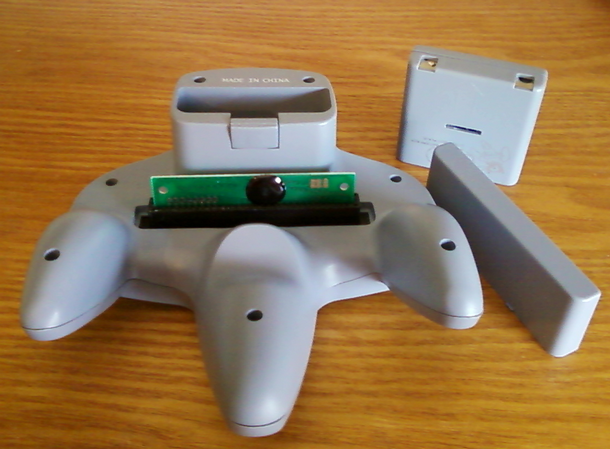 These units are often used for parts to create better handheld versions of the full systems they emulate, but on their own they’re pretty weak. These items will never come close to replacing the original Famicom, but for those of us who either can’t afford or don’t want to hunt down a working Famicom system, these might do enough to pass the time until we just can’t live without the real thing anymore. I will be doing more research and testing with mine as well as hopefully getting more Famiclones to test, but the bottom line is, I just want to enjoy the Famicom even in this sad, cloned, fraction of a sense.